The Lakers made one step in hopes to upgrade their center position. They agreed to a deal with Cleveland center Timofey Mozgov, according to league sources familiar with the situation. The terms weren’t readily available, but the Vertical reported the deal is worth $65 million through four years. Lakers general manager Mitch Kupchak reached out to Mozgov when free agency began at 9:01 p.m. PT on Thursday. It did not take long for them to proceed from there. 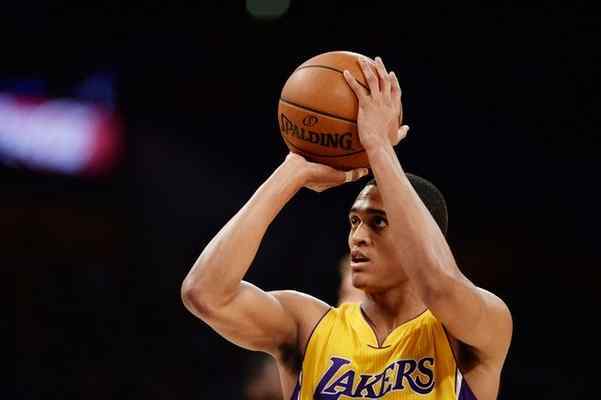 The move represents a mere formality that both Jordan Clarkson and the Lakers hope forges into a long-term partnership. The Lakers extended a qualifying offer worth $2.7 million to Clarkson on Thursday. The Lakers also did the same to backup point guard Marcelo Huertas and backup center Tarik Black, with qualifying offers worth both $1.1 million. Free agency will not just mark the period the Lakers hope to revamp their roster. It could also represent a period in which another saga of the Lakers-Celtics rivalry unfolds. Boston free-agent shooting guard Evan Turner has expressed interest in about six NBA teams, including the Lakers and Celtics, according to league sources familiar with the situation. The facts have become pretty clear. The Lakers need a center after not expecting to retain Roy Hibbert. The Lakers also need someone who can both produce inside and anchor a defense that ranked near the bottom of the league last season. So who should the Lakers target? Should they pursue Miami Heat center Hassan Whiteside because he checks all those boxes? Or should they hesitate given his relative youth and past immaturity could become a bad influence for the Lakers’ young roster? Should the Lakers go after Atlanta forward Al Horford because of his veteran experience and offensive versatility? Or should they wonder if Horford will provide enough on defense? As shown in the videos above and below, this all became a topic of discussion Wednesday night on Time Warner Cable’s Access SportsNet. Host Chris McGee, 710 ESPN analyst Andy Kamenetzky and I analyzed the various centers the Lakers could pursue in free agency. 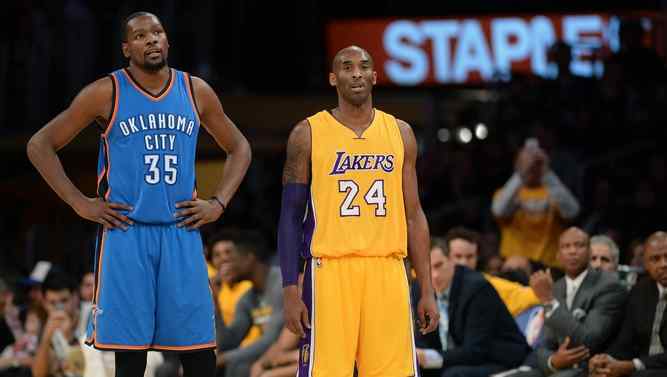 How will the Lakers fare in NBA free agency? Below is a Q&A on Lakers’ with NBA TV analyst Stu Jackson, who is going to be a large part of the network’s free agency-focused programming. NBATV will have a free agency preview show on June 30 both at 7:30 p.m. and 11:30 p.m. ET. Then, NBA TV will air a “Free Agent Fever” episode on Friday beginning at 8 a.m. followed by updates throughout the morning and live studio coverage from 2-11:30 p.m. Free agent coverage will continue on Saturday at 7 p.m. ET as well as NBA GameTime Shows on Saturday and Sunday at 11 p.m. ET. The Lakers’ 16 NBA championship trophies, the sunny skies and proximity to Hollywood once represented the only visual selling points they needed to land their next star. But then something happened. The Lakers missed the playoffs for the past three seasons because of rosters that both lacked health and talent. The current labor deal has imposed more stringent spending limitations. It no longer has become necessary to latch onto the Lakers’ global brand in order for a star to maximize theirs. So, the Lakers struggled to retain their own star free agents, including Dwight Howard (2013) and Pau Gasol (2014). The Lakers also could not attract stars from other teams, including LeBron James (2014), Carmelo Anthony (2014), LaMarcus Aldridge (2015), DeAndre Jordan (2015) and Greg Monroe (2015). EL SEGUNDO — The Lakers selected Croatian seven-foot center Ivica Zubac with the No. 32 pick in Thursday’s NBA Draft. Numerous NBA mock drafts have compared Zubac to Memphis Grizzlies center Marc Gasol, though it remains unclear how soon Zubac will play in the NBA. The Lakers could stash him overseas to give him more time to develop. Zubac helped the Croatian team win the silver medal in the Under-19 World Championships, averaging 17.9 points and 7.9 rebounds. He also played last season for KK Cibona in Croatia, though he left amid reported issues with decreased playing time over a coaching change. EL SEGUNDO — Even as he stayed consumed with the Golden State Warriors’ playoff run, Lakers coach Luke Walton watched enough tape of Brandon Ingram that featured plenty of images. Walton gushed about Ingram’s length. Walton complimented Ingram’s defensive awareness. 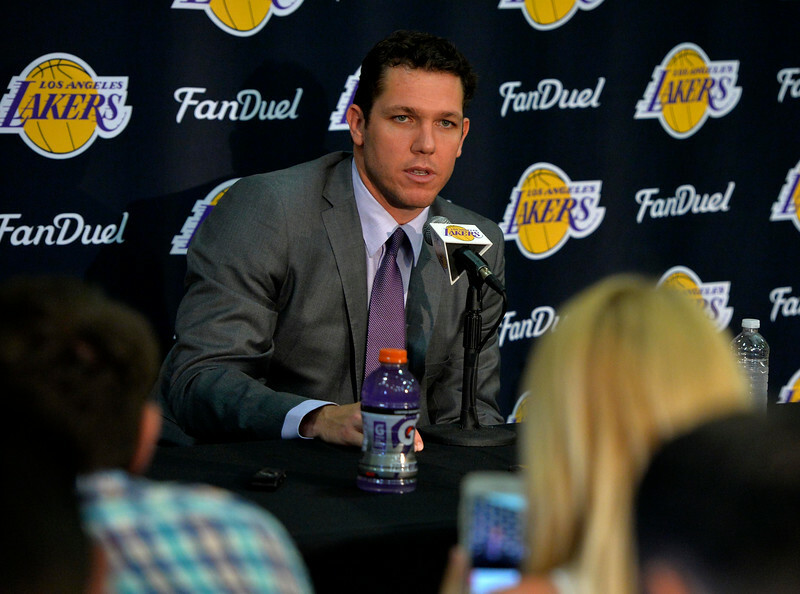 Walton praised Ingram’s leadership qualities. But when it came toward assessing Ingram’s a rail-thin 6-9, 190-pound frame? Even if NBA talent evaluators have constantly brought up that issue, Walton insisted he “doesn’t see concerns about his weight” for one simple reason. Ingram said he has gone from weighing 169 pounds to 195 in the past year because of constant workouts and high-caloric meals. He also has said he wants to weigh 210 pounds by the beginning of the 2016-17 season. Yet those around Ingram have downplayed his weight issues, arguing that he can overcome such a weakness with superior defense and an outside shot. The phone rarely stopped ringing. 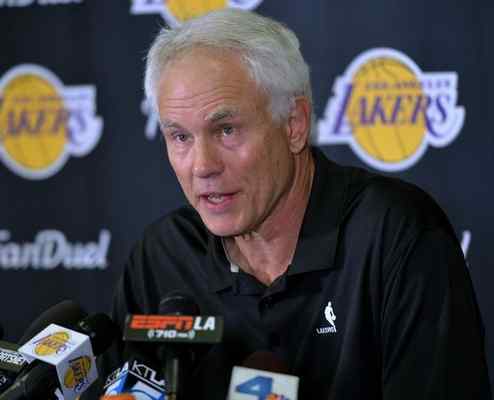 But just because Lakers general manager Mitch Kupchak fielded what he called “a lot of interest in our No. 2 pick” on Thursday, the Lakers chose the conventional route and chose Duke forward Brandon Ingram. Part of the reasoning sounded simple. The Lakers fielded the No. 2 pick for the second consecutive year after preceding a season with their worst record in franchise history. It seemed no surprise they used it on Ingram, who won the ACC’s Freshman of the year award during his lone season at Duke partly because of his outside shooting and defense. Ingram shot 41 percent from 3-point range, while often defending the opposing team’s top scorers. The Lakers also became impressed with Ingram’s versatility during individual workouts and two subsequent dinners. At the second dinner, Kupchak said the Lakers’ young roster in D’Angelo Russell, Julius Randle, Jordan Clarkson, Larry Nance Jr. and Anthony Brown attended. Kupchak admitted that Ingram “needs to work and get stronger” after having a listed 6’9, 190-pound frame. Yet, Kupchak argued “it’s unfair” of the comparisons Ingram fielded to Kevin Durant, a seven-time NBA All-Star that also entered the league undersized. Yet, the Lakers hardly thought twice about selecting Ingram. 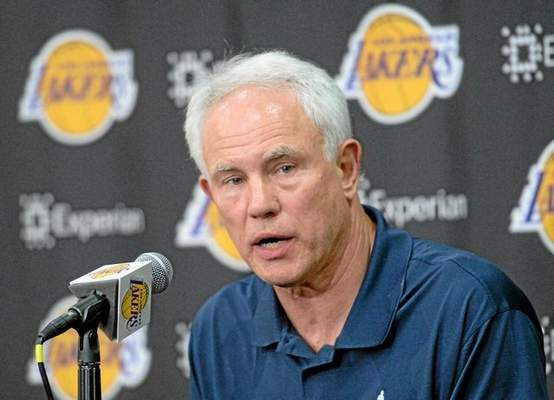 Kupchak would not go enough to proclaim Ingram as his top choice had the Lakers’ No. 1 pick. After all, the Lakers’ sentiment could have changed had LSU forward Ben Simmons worked out for them. But on a night Kupchak easily could have traded his pick away, he chose otherwise.